Such a wonderful novella. I had to finish right away. I loved Tess and Jacob. This shows that no matter who you are you need to communicate. Always have to keep this in mind. I cried many times throughout this book. I received an ebook copy of this from the author for a fair and honest opinion that I gave of my own free will. Jacob can’t see what Tess is upset about and continues his boorish ways, ignoring her pleas to attend marriage classes. Tess loves Jacob with all her heart, but it’s her heart that tells her she must take a stand. With surprising determination, she asks for help from her new community and is welcomed into the home of her friend Clara Rose and her husband Obie. Only then does Jacob begin to see how deeply his behavior has hurt Tess. But is he too late? He may be contrite, but he will need to show much more than that to win her love all over again . . . This book had racial profiling and can be hard to read about. It is a sad world we live in when that happens. Kennedy and her friend have a very hard time after they are accused of trying to hurt a policeman when he pulls them over for no reason. Many things happen during this book and there are twists and turns. I received an ebook copy for a fair and honest opinion that I gave of my own free will. When Kennedy Stern and her best friend Reuben drag themselves away from their grueling studies to enjoy a night off campus, getting pulled over by a belligerent cop isn’t in either of their plans. When the police altercation turns violent, the media notes Reuben’s dark skin and labels this instance of police brutality a hate crime. Those Kennedy trusts the most warn her not to get involved, but she owes it to Reuben to pursue justice regardless of the personal cost. Nothing remains a secret when a frenzied media and an embarrassed police department delve into Kennedy’s and Reuben’s backgrounds. Some truths, unfortunately, grow increasingly more painful the closer they get to the surface. I loved this book. Rose is such a great character. She thinks at first she wants to wed Reuben until her sister is injured and she must take care of her. Now she wants to spread her wings and have a rumspringa. She meets Trevor who is an Englisher and she wants to begin flirting to make Reuben jealous. How will this work out for Rose? I also really like Lila and Zane. Can they still marry even though Lila gets badly hurt in an accident. This book was very hard to put down because I had to see how each of these storylines developed. I received this book from Bethany House for a fair and honest opinion that I gave of my own free will. 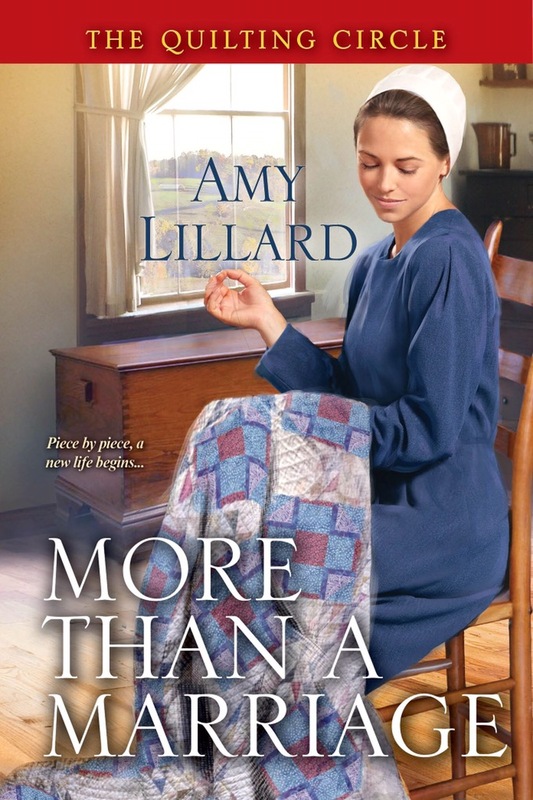 Gould’s Series Concludes in Love and Marriage Gregarious Rose Lehman, who’s always the life of the Amish youth singings, is determined to marry the bishop’s son, Reuben Byler–until the handsome Army buddy of her future brother-in-law shows up in Lancaster County. In comparison to Trevor, Reuben seems downright boring. Trevor shares Rose’s sense of fun and adventure, and her easygoing disposition. When her sister Lila’s buggy is rear-ended and Lila is horribly injured, Rose finds herself with more freedom than she’s ever experienced. Everyone is so concerned about Lila that no one realizes Rose is sneaking out with Trevor. Except for Reuben. But in his usual passive way, he doesn’t confront her, nor does he address the situation with her Dat or anyone else in the district. Rose appreciates Reuben’s discretion, but she also resents it. Part of her relishes the freedom she’s found with Trevor, but the other part of her wishes Reuben would “fight” for her, as much as any Amish man would. Too late, she realizes the foolish choice she’s made. Has she ruined her best chance at love, or is there another path to happiness she just hasn’t seen yet? 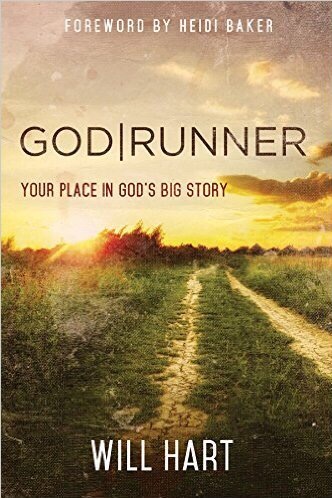 This book had some really good ideas on how to run towards God. Some of the stories the author tells are interesting. I received this book from Bookfun.org for a fair and honest opinion that I gave of my own free will. Will Hart has already lived this book. He’s been in hot pursuit of God since he was a teenager—whether conducting crusades and conferences, ministering on the streets, praying for schoolchildren, preaching to young adults, or disrupting demonic strongholds, Will Hart is “the donkey God rides in on” and his collection of miracle stories keeps growing. This has been my favorite in this series for a while. I love how Ian and Hamish are blending together more. Ian is learning to live with what he did years ago. This story was fantastic also. The things that men do in a war and have to live with afterward. I received an ebook copy of this through eidelweiss for a fair and honest opinion that have given of my own free will. On the eve of the bloody Battle of the Somme, a group of English officers having a last drink before returning to the Front make a promise to each other: if they survive the battle ahead–and make it through the war–they will meet in Paris a year after the fighting ends. They will celebrate their good fortune by racing motorcars they beg, borrow, or own from Paris to Nice.In November 1919, the officers all meet as planned, and though their motorcars are not designed for racing, they set out for Nice. But a serious mishap mars the reunion. In the mountains just north of their destination, two vehicles are nearly run off the road, and one man is badly injured. No one knows–or will admit to knowing–which driver was at the wheel of the rogue motorcar.Back in England one year later, during a heavy rainstorm, a driver loses control on a twisting road and is killed in the crash. Was it an accident due to the hazardous conditions? Or premeditated murder? Is the crash connected in some way to the unfortunate events in the mountains above Nice the year before? The dead driver wasn’t in France–although the motorcar he drove was. If it was foul play, was it a case of mistaken identity? Or was the dead man the intended victim after all?Investigating this perplexing case, Scotland Yard Inspector Ian Rutledge discovers that the truth is elusive–and that the villages on the South Downs, where the accident happened, are adept at keeping secrets, frustrating his search. Determined to remain in the shadows this faceless killer is willing to strike again to stop Rutledge from finding him. This time, the victim he chooses is a child, and it will take all of Rutledge’s skill to stop him before an innocent young life is sacrificed. This was a wonderful biblical fiction story. I did not want to put this book down. I loved Naomi and Ruth. Naomi and Ruth had many trials to overcome in their lives. Jill Eileen Smith put true life to these people from the Bible. 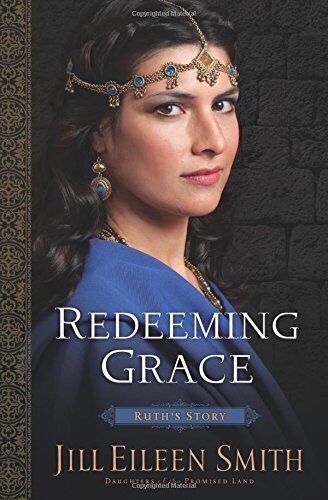 Can Ruth be redeemed? I received this book from the author for a fair and honest opinion that I gave of my own free will. This was a great read. There were so many twists and turns. It is hard to imagine that one decision can ruin your life. You always want to help your family but it is sometimes not the correct thing to do. I enjoyed this story. I received this book from Smith publicity for a fair and honest opinion that I gave of my own free will.